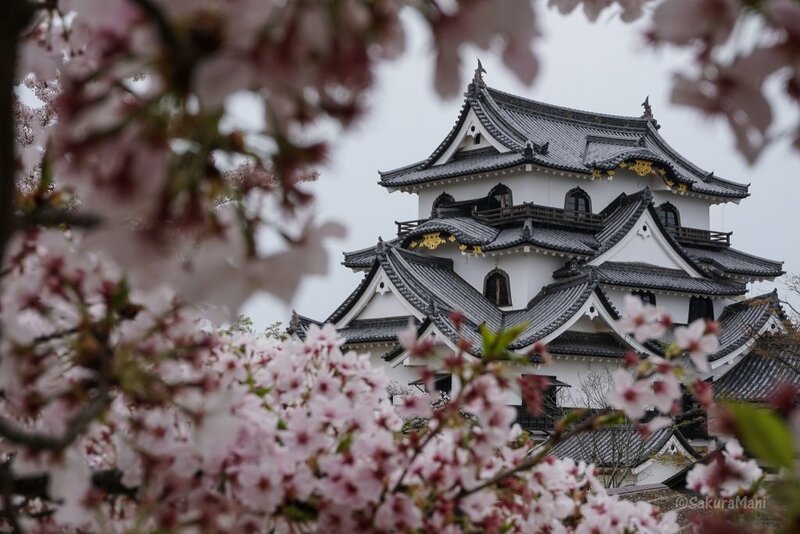 Almost 13 kilometres away from the overflowing cherry blossom parks of Kyoto stands an elegant white castle on top of a small hill in Shiga prefecture. 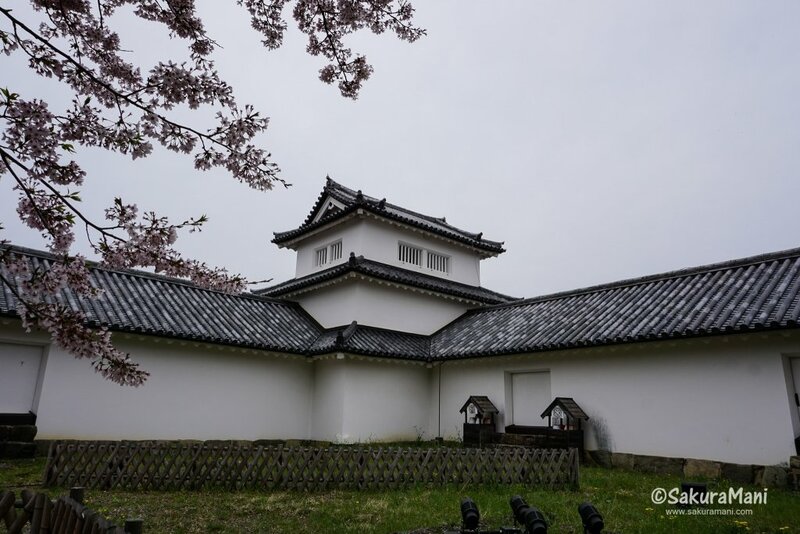 Surrounded by a wide moat and a thick stone wall, Hikone castle is one of the 12 original castles still remaining in Japan. 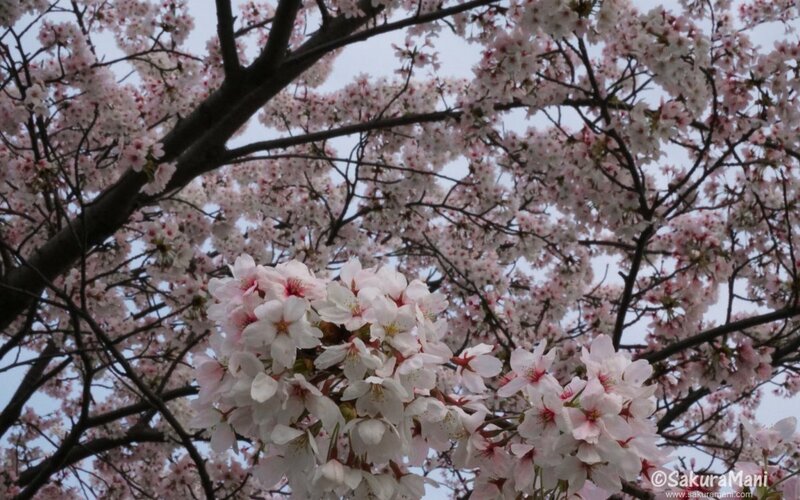 I set out for Hikone from Nara to view the cherry blossoms. I had only one day free ride remaining on the seishun 18 JR ticket and am so glad I chose Hikone over Himeji. 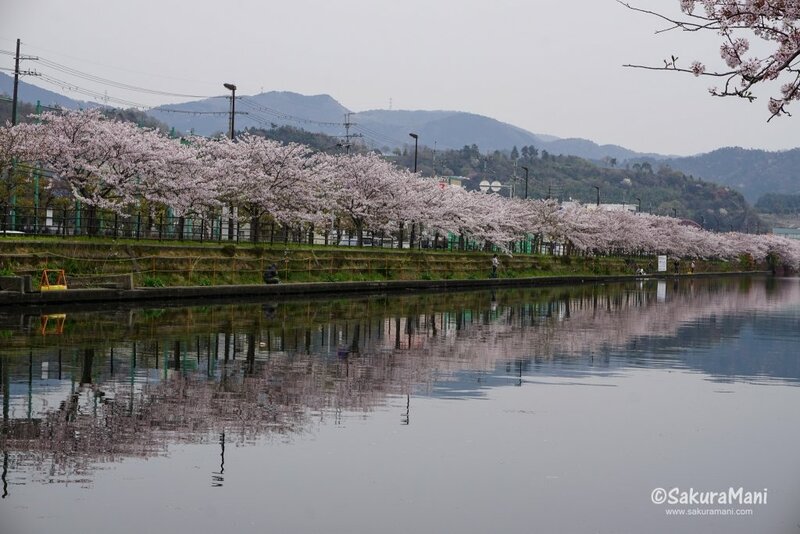 I am sure Himeji must be worth a visit during cherry blossom festival, but I had already been there and moreover I wanted to experience hanami at lake Biwa. Since I was using seishun 18 the journey was quite long and tiring and I got to spend only a couple of hours in Hikone and later 2 hours in Nagahama. 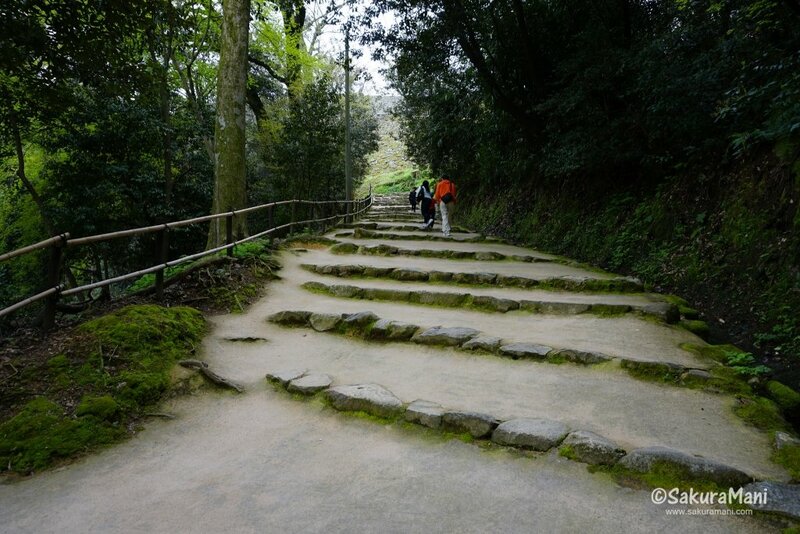 However, I had planned and prepared for this trip so I left Nara early in the morning. The straight road that leads to Hikone castle from Hikone station is called Yume Kyobashi Castle Road. The walk down this road was absolutely worth it. The shops and the buildings give a feeling that you are still in Edo period. 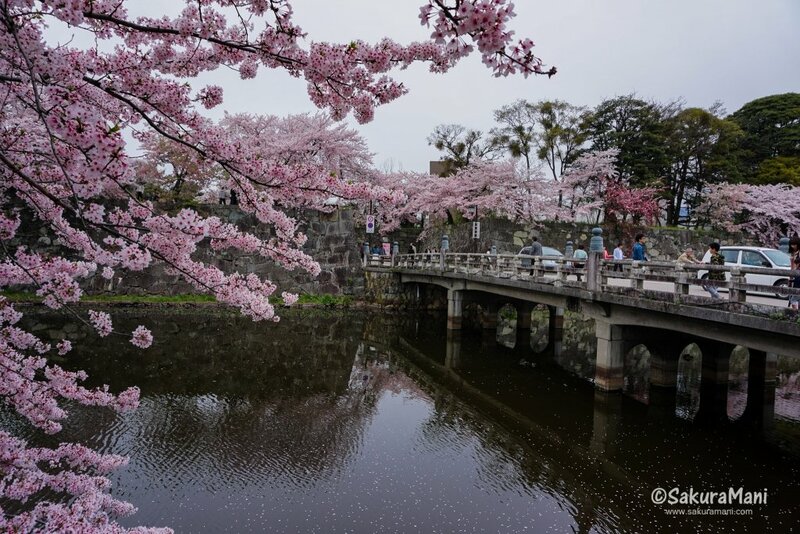 The long wide moat surrounding the castle offers a pleasant scenery during cherry blossom season. There are many parks, shrines and temples to explore around this area. 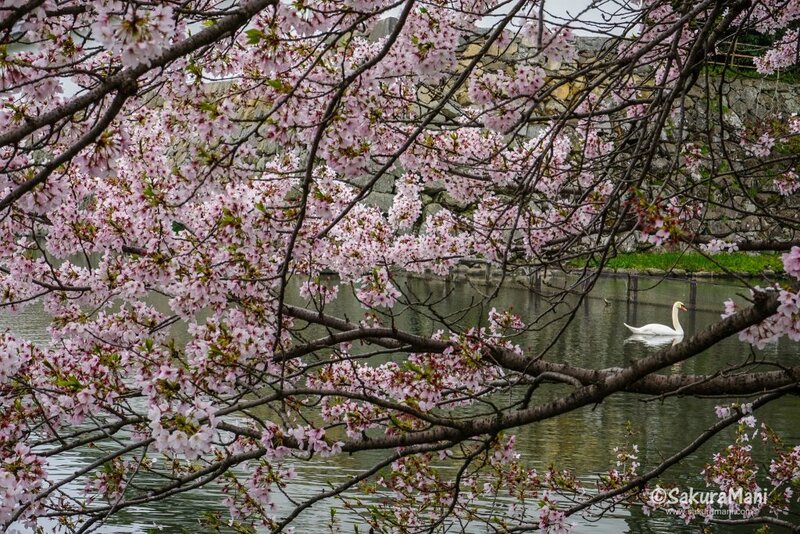 The cherry trees were in full bloom when I was there. I kept wandering aimlessly among the beautiful parks for a long time before I hiked up to the castle. 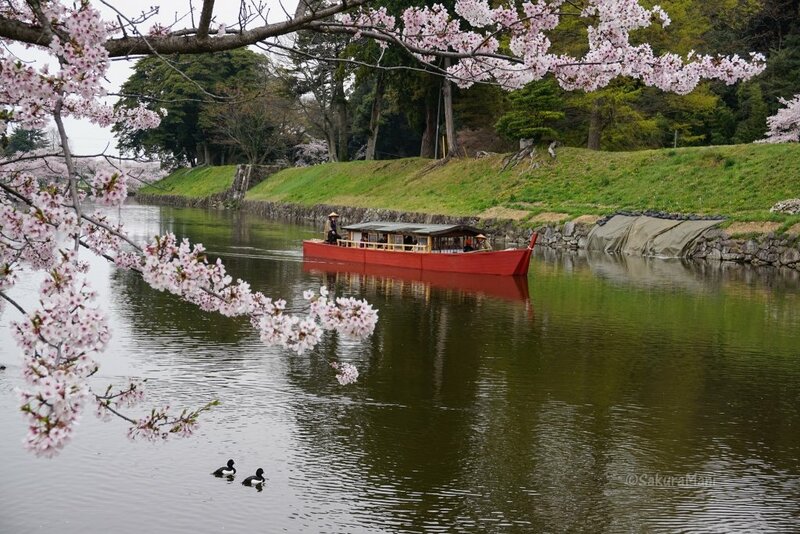 Boat ride in Hikone Castle moat. A solitary white swan was on its way to somewhere. I took the Kuromon entrance (黒門入口) to Hikone Caslte. These low stone steps directly led me to the castle tower. 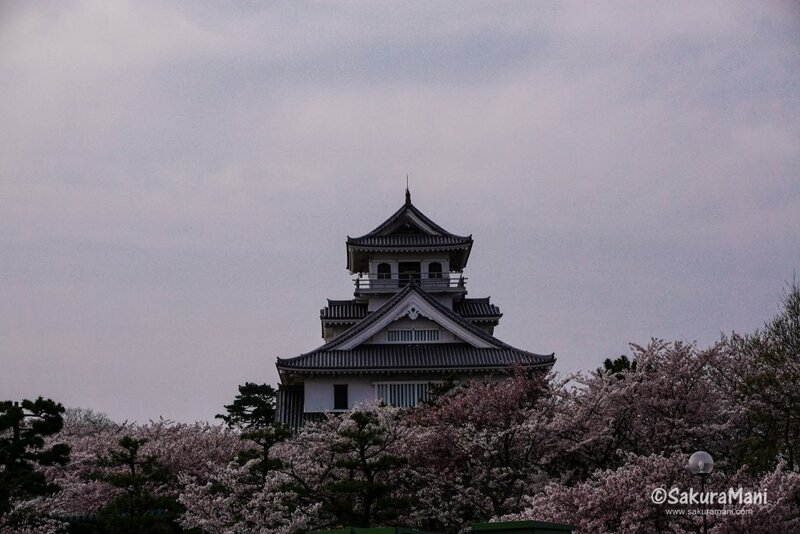 Tried to capture the elegant Hinkone castle and perfectly bloomed sakura flowers in a single frame. 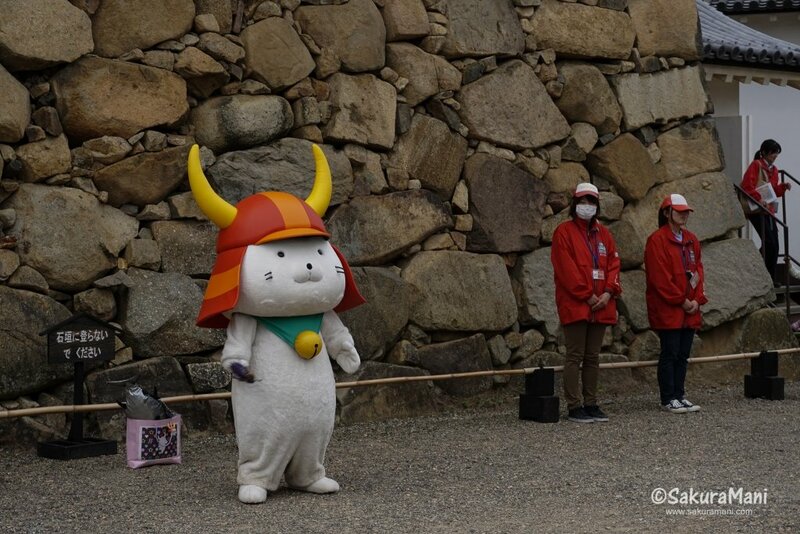 A warm welcome by Hikonyan, the official mascot of Hikone Castle. 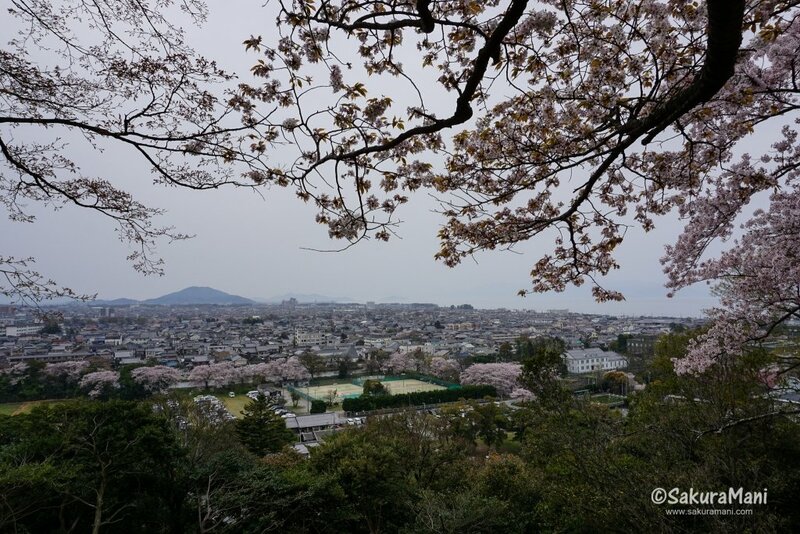 Hikone city and Lake Biwa as seen from the Hikone Castle ground. Only if the sky was clear that day, Lake Biwa would have been more visible. Nishinomaru-Sanju Yagura turret a simple looking three storied turret standing opposite to the castle tower. My visit to Hikone ended on a sweet note. While heading back to the station I stopped by a traditional Japanese sweet shop (wagashiya 和菓子屋) to buy this delicious piece of steamed cake. 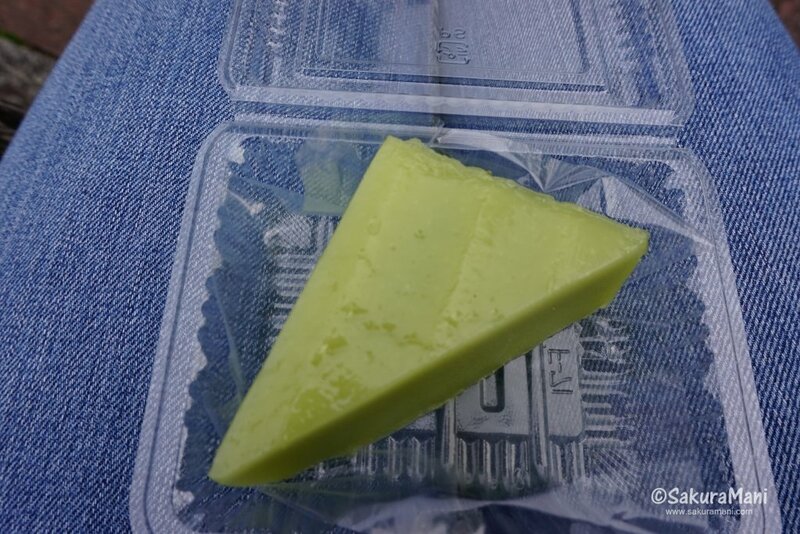 It is called uiro (外郎) and is made from sugar and rice flour. My next destination was Nagahama, which lies almost 14 kms north of Hikone. This place feels like a lovely small town overlooking the largest lake in Japan (Biwa-ko). 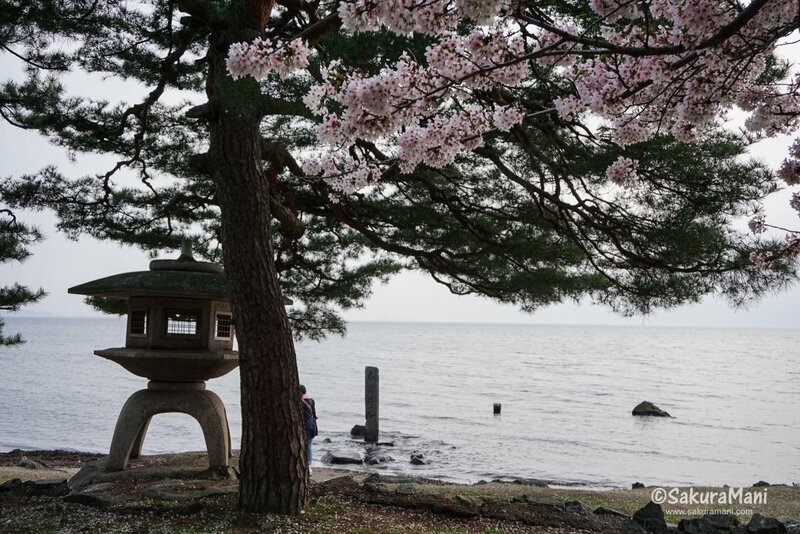 Nagahama castle is built very close to the shore of lake Biwa. Adjacent to the castle is a large park called Ho park. 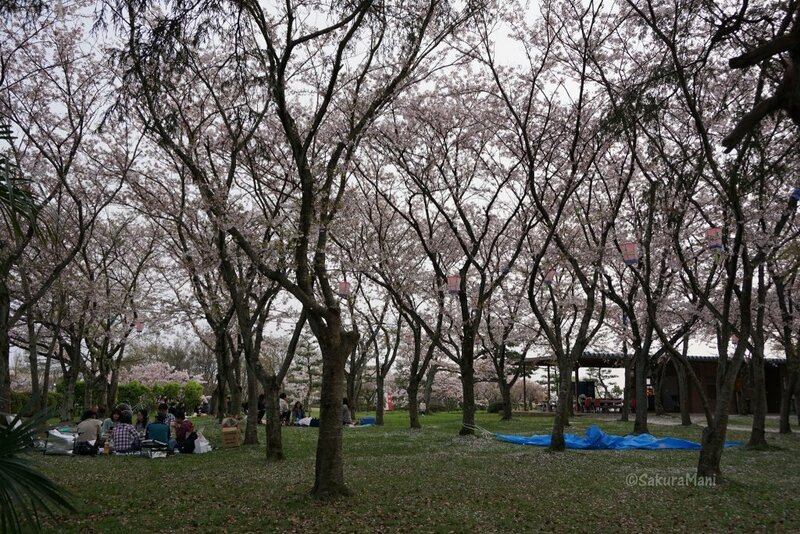 This a perfect place to spend time with friends and family during hanami. 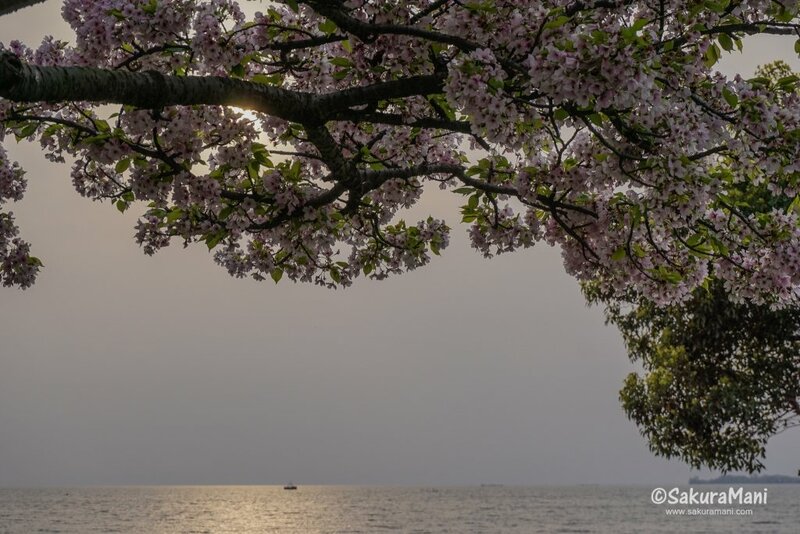 The combination of the lake, the castle and the park resulted in a romantic evening which was made even more magical by the sakura petals falling at a speed of 5 cm per second. 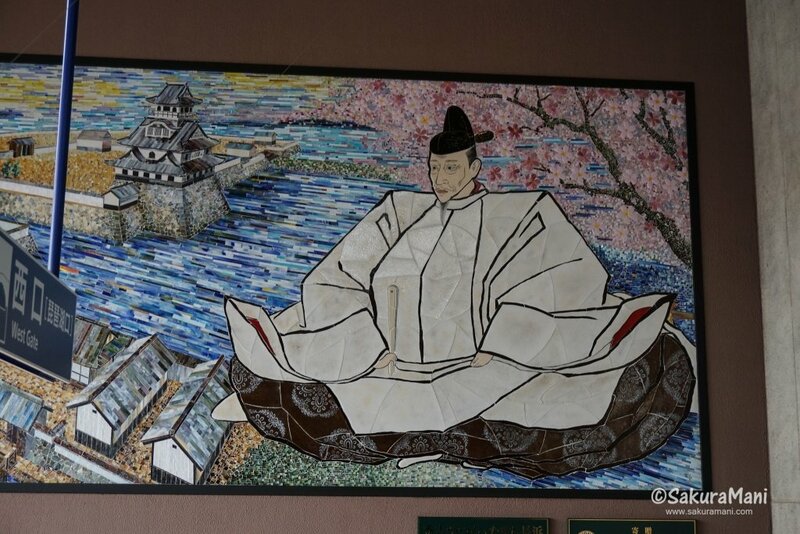 Toyotomi Hideyoshi is a political figure from Sengoku period who gave Nagahama city its name.